Researchers are using small unmanned aerial vehicles (UAV) to capture images of coastal areas across hundreds of acres—the aim is to try to make accurate predictions on how the rise in sea level will affect the coast and what that entails for communities and the county in regard to planning. This story is the third in a series on climate change research at UH Hilo. 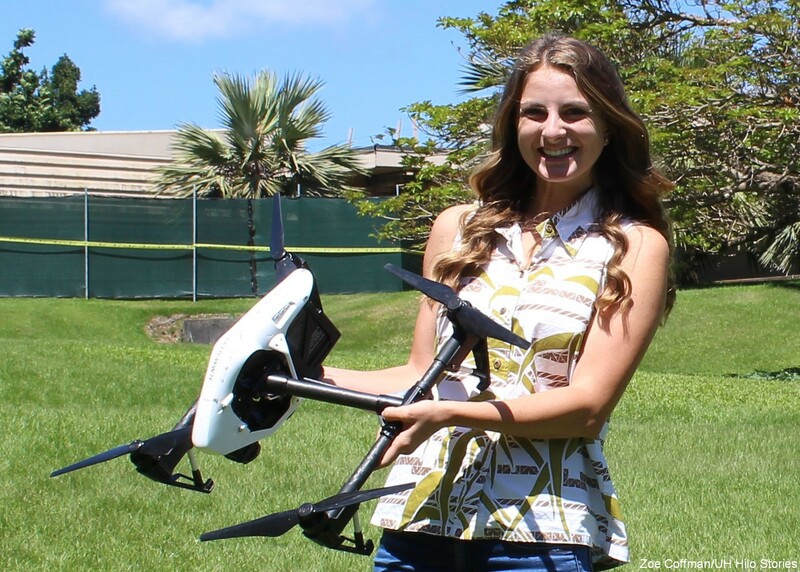 Graduate student and researcher Rose Hart holds an unmanned aerial vehicle used to survey coastal areas. Climate change is affecting more than just plants and animals—it is changing coasts and sea levels. Researchers at the University of Hawai‘i at Hilo are monitoring these changes and the impact on local communities by gathering data that will help officials make sound predictions about, and decisions for, the future. Rose Hart, a first-year graduate student in the Tropical Conservation Biology and Environmental Science (TCBES) program at UH Hilo, has teamed up with faculty member Ryan Perroy, an assistant professor of geography and environmental science at UH Hilo, to begin monitoring shorelines using an exciting and innovative technique. The researchers are using small unmanned aerial vehicles (UAV) to capture images of coastal areas across hundreds of acres. The images are used to create 3D data sets to observe past and present changes. A variety of coastal environments are being used for the study including sea cliffs (Honoli‘i), low-lying and subsiding coastal lava fields (Kapoho) and calcareous beaches (Hapuna). Rose Hart guides an unmanned aerial vehicle. Photo credit Rose Hart. The project has a number of aspects and goals—one is to determine from a historical point of view how these coasts and regions have changed over time to present day. Another aspect is more short term, meaning that data collection occurs every couple of months to every few weeks to see how the coasts are currently changing. The overall goal is to try to make accurate predictions on how the rise in sea level will affect the coast and what that entails for communities and the county in regard to planning. For example, setback regulations from the coastline may need to be adjusted. How the community will respond to the rising sea level is an important factor to consider especially in the long-term sense—things will be dramatically different in the next 50 to 100 years. 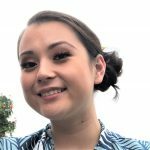 Hart is from Los Angeles, CA, and began attending UH Hilo after high school for her undergraduate degree in 2012. She graduated last year with a bachelor of science in environmental science with a minor in marine science and a certificate in planning. Hart is now part of the TCBES graduate program, where students tend to have a concentration in a specific area. Hart’s current concentration is the study of shoreline changes and how the coast previously and presently adapts to factors such as sea level rise and coastal erosion—the hope is that monitoring theses current changes along with analyzing past conditions will help to predict future outcomes. 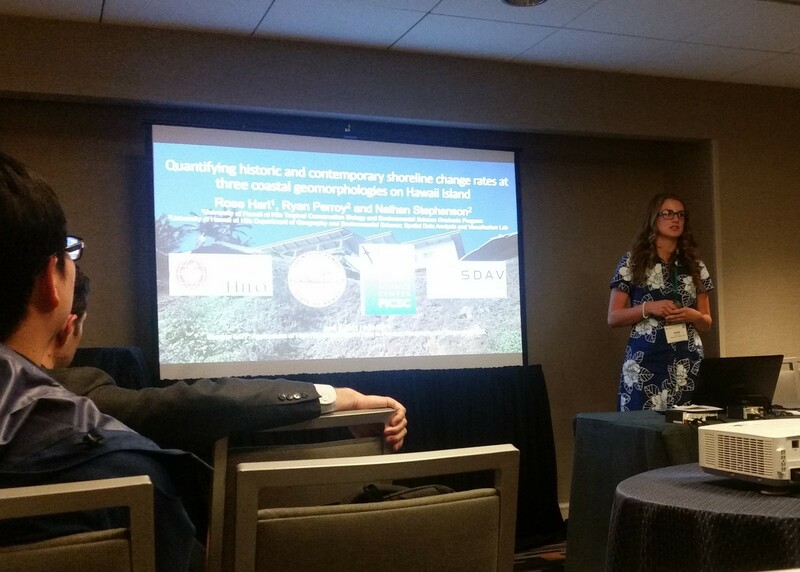 Above left, Rose Hart gives a presentation at the 2017 Association of America Geographers annual meeting in Boston. At right, Rose Hart and Ryan Perroy at meeting. Courtesy photos, click to enlarge. 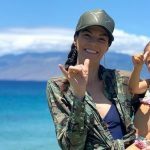 Hart hopes that information on how these different geomorphic types of beaches are changing in response to things like sea level rise and coastal erosion could be used to support shoreline policy at the County of Hawai‘i Planning Office. 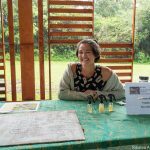 Her goal is to provide useful information and scientific support for local policies which could be considered as a tool to help protect coastal communities. Perroy is the faculty advisor on this project. 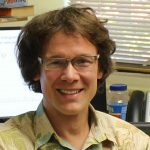 In addition to teaching and research, he serves as the current director of the UH Hilo Spatial Data Analysis and Visualization Labs. He received his bachelor of arts in physics from the College of William and Mary and went on to earn his master of science and doctor of philosophy in physical geography from the University of California at Santa Barbara. Perroy is a physical geographer with a background in geomorphology, hill slope erosion, and soil science along with remote sensing. His current focus on landscapes using 3D data sets and spatial data is why he was matched with the coastal erosion research project. Learn more about Perroy’s landscape studies: Mapping for statewide agricultural survey (Feb. 2016) and Aerial imagery of Puna lava flow (Oct. 2014). Bethany Morrison, a planner at the Hawaiʻi County Planning Department says the project is the fruition of years’ worth of collaborative effort between the planning department and UH Hilo. 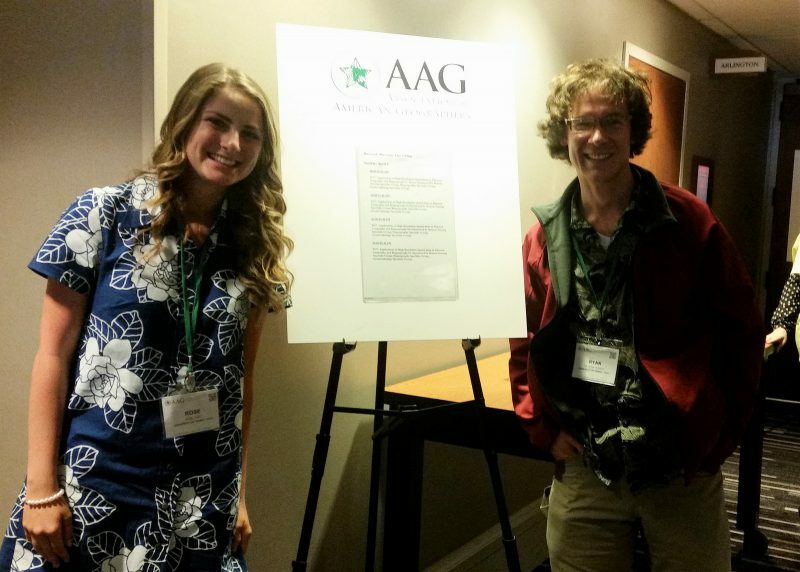 Bethany Morrison from the Hawaiʻi County Planning Department explores the coasts of Kaʻū. Morrison helps guide Rose Hart’s coastal erosion project, which will directly aid Morrison’s long range planning capacities in the coastal zone. Photo by Ryan McClymont, USGS. Morrison explains that as sea-level increases and shorelines move further inland, the buffer between development and unique shoreline habitats will be reduced, and management options will be foreclosed. She believes the project will produce data that can be integrated into the decision making framework and tools, such as the county’s shoreline setback policy. Perroy says his favorite part about the current joint student-faculty project is seeing the students become empowered. “Seeing them start with an idea and carrying it out and then actually use problem-solving skills is how they become scientists,” he explains. He says that being able to help them along and watching the evolution and growth in the student is awesome. He hopes Hart is gaining more than just the technical and analytical skills. “Her being able to take what she’s finding out through her work and then being able to translate that into useful and effective change in the community is what my true goal is for her,” he says. 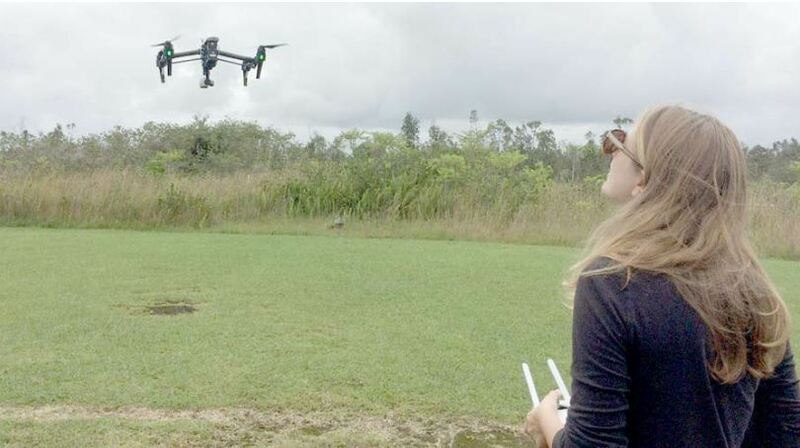 Hart says since starting at TCBES, she is learning a lot of new things like image processing and the use of various software like Pix4d and CloudCompare—these types of software allow the research project team to generate 3D models from the UAV acquired imagery. “I’m developing skills that I never could foresee as being a part of my future,” says Hart. Although a lot of the results are in their primitive stages and the project is not expected to conclude until March 2018, Hart has her eyes set on the horizon. After completing her graduate program, she is hoping to work for the state Coastal Zone Management program. The program focuses on how people used the shoreline, where the coastline is designated, and where people are permitted or prevented from developing along the coastline. Her ultimate goal is to be a shoreline analyst. 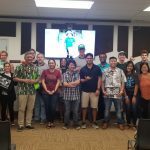 Research projects like these are all around UH Hilo campus and encourage students and faculty to work together to find solutions to local and global problems. 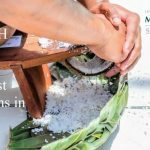 The Pacific Island Climate Science Center funds this project and both Hart and Perroy hope to see more tangible results from their project that will help provide support for local conservation policies and methods. This story has been updated to add remarks from Bethany Morrison. About the author of this story: Anne Rivera (junior, communication) is a public information intern in the Office of the Chancellor.